How to watch the eclipse if you forgot to make plans. Most of the U.S. will at least see a partial eclipse, so even if you don’t have travel plans, you can probably see something cool. What if you forgot to make eclipse plans? On Monday, as you might have heard, the first total solar eclipse in more than a century will be visible in North America. Across a wide swath of the country, the moon will block out the sun, creating an awe-inspiring, near-three minutes of darkness and incredible views. 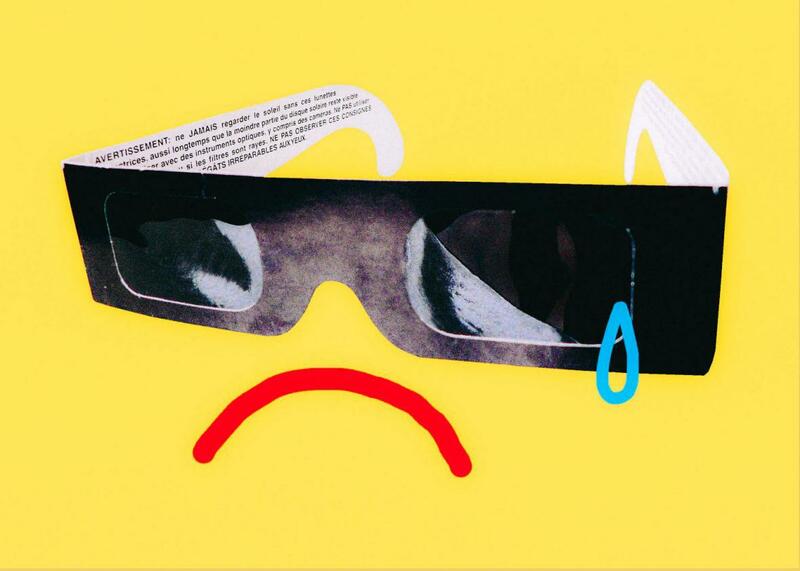 A certain segment of the population, eclipse enthusiasts known as “umbraphiles,” have been planning for months: stocking up on special solar-eclipse glasses, planning themed festivals, and purchasing tickets to fly into what is usually flyover country for the event. The short burst of ecotourism is going to be huge: U.S News and World Report wrote that a 1,600-population town in Idaho is expecting 100,000 visitors for the event. Hotels, Airbnbs, and even campsites have been booked for months. So what if you forgot to schedule—or simply did not want to invest in—an eclipse getaway? We understand. It’s been a rough year. If you don’t have a personal plane, it’s probably too late to get somewhere that’s in the “path of totality,” the 70-mile-wide path across the U.S where the sun will be completely blocked by the moon. (Fourteen states are inside the path of totality, and the biggest city in the path is Nashville.) Being in the path will be pretty cool—once the moon covers that last 1 percent of the sun, it gets about 10,000 times darker. But even if you can’t get out there, thanks to the wonders of technology, you can still virtually watch the spectacle: NASA is live-streaming the view of it from 11 spaceships, at least three aircraft, and more than 50 balloons. You can also indulge your FOMO with the #eclipse and #eclipse2017 hashtags, where you can be sure the people who made it will share their experiences. Alternatively, if you want to see something in person, anyone in lower 48 states can see a “partial eclipse” simply by going outside that day. Umbraphiles say partial eclipses are mere shadows of their full cousins, but it will still be a show worth noting. During a partial eclipse, it appears as if the moon has taken a little bite out of the sun and that bite moves around the sun’s circumference over little more than two minutes. The Washington Post put together a useful graphic displaying what the eclipse will look like in different states. NASA also has an interactive map where you can check out what time and how much of an eclipse you can expect depending on your location. One other fun aspect of watching the eclipse outside? It could get 5 degrees Fahrenheit colder. There are still things you can do to prepare in your corner of the world. Most importantly, buy glasses for the eclipse. In fact, people outside the path of totality need glasses more than those inside it. The one moment of an eclipse safe to look at without glasses is the moment when the moon is fully covering the sun, but since those of us outside the path won’t see that, we’ll need to wear glasses throughout the entire event. Additionally, you can look for eclipse-viewing parties in your city—New York’s American Museum of Natural History, among others, will be holding viewing events. And if you’re truly bummed that you forgot to plan this time, luckily, there’s another eclipse coming up in April 2024. It’s also crossing the U.S, but next time it will cross from the southwest to the northeast through states including Texas, Pennsylvania, and New York. Remember to book your flight early.